The oral contraceptive pill is used by millions of women worldwide, though it has been found that most of these women do not understand how it works in the body or how to take it effectively. Doctors believe that by educating these women, the chances of conceiving whilst taking the pill will be significantly reduced. 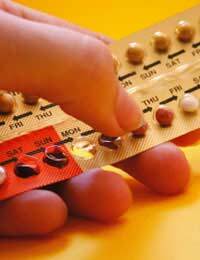 The pill is a tiny tablet that contains hormones; there are two main types, the combined pill and the mini-pill. They work in different ways but both aim to prevent pregnancy. Your doctor will be able to discuss each type to you determining which is better for your needs or explaining why you might be unable to take one of these types. The combined pill, most often considered to be the usual type of pill as it is the most prescribed, contains two hormones; oestrogen and a progesterone based hormone.It works in three ways, primarily it aims to prevent ovulation (the release of eggs from your ovaries), thins the lining of the womb and also increases cervical secretions providing a thick mucus that makes it extremely difficult for sperm to enter the uterus. It is an extremely effective form of contraception offering 99% protection although this is lowered if antibiotics are being taken or if the user is experiencing diarrhoea or vomiting in which case other methods of contraception such as the condom should be used for two weeks or longer if symptoms haven't subsided. For most it can regulate bleeding making periods lighter and less painful and also help to balance mood swings and temper.The combined pill can be prescribed in either a 21-day pack meaning the user has to stop taking it for 7 days and start a new pack, or in a 28-day pack providing the user with 21 days of contraception and 7 days of a placebo drug. This can be useful for those who are likely to forget to start another pack after a 7 day break. Are There Any Side-Effects From taking The Combined Pill? It is possible that a woman might experience some side-effects but they don't affect every user.Possible effects include break-through bleeding, headaches, nausea, water retention or breast sensitivity. The mini-pill, also known as the progesterone only pill, contains only a progesterone-based hormone and no oestrogen. This is offered to women who have just given birth and are planning to breast feed, those who have high blood pressure or who smoke. It works by thickening the cervical mucus and by thinning the inner layer of the uterus. This mechanism aims to prevent sperm getting through and also provides an inhospitable environment for any fertilised egg to implant. Some of the newer versions of the mini-pill also stop eggs from being released by the ovary, thus providing a greater level of cover. The health risks are fewer than the combined pill but the effectiveness is slightly lower. The mini-pill is less able to control your periods and intermittent bleeding can be an issue. It also can stop your periods altogether meaning that if a pregnancy did occur, it would be difficult to notice this in the early stages.The mini-pill is taken every day. Although the pill is a very widely used form of contraception, it does not provide any protection from sexually transmitted infections so if you are at risk, always use a condom as well.To maximise the effectiveness of the pill, it should be taken at the same time every day.In the event of a missed pill, read the patient information leaflet enclosed with the tablets or speak to your healthcare provider. Alternatively ring NHS Direct 0845 4647 who will be able to advise you further.